In 2005 Cementation was selected to carry out underground decline and drift development for the Diavik Diamond Mine at Lac de Gras in the Northwest Territories. The harsh and remote location has necessitated the use of winter ice roads as the main logistics to site with limited opportunity for heavy freight. 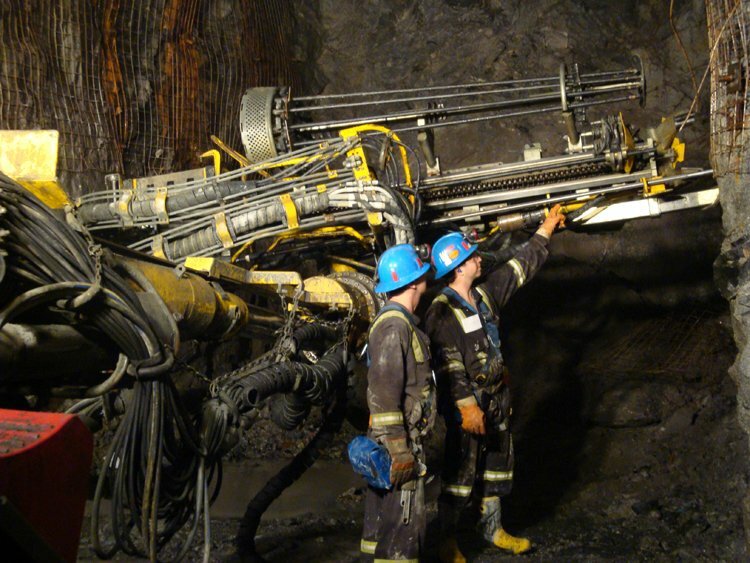 In preparation of the mine transition from an open pit to an underground operation, Cementation constructed two portals and carried out underground development as well as exploration and bulk sampling. The transition to underground mining also required the training of personnel. Working with the Client, Cementation provided training through its New Miner Training Program. To carry out the project, Cementation assigned the contract to Kitikmeot Cementation Mining and Development Ltd (KCMD), a partnership between Kitikmeot Corporation of Nunavut and Cementation. Cementation is the managing partner of the project. Ongoing production development work is still being carried out by KCMD, a company that many see as a model Inuit partnership. KCMD continues to be the underground mine development contractor for Diavik, and has consistently delivered high advance rates safely and implemented a number of safety innovations for developing through the weaker contact zones.